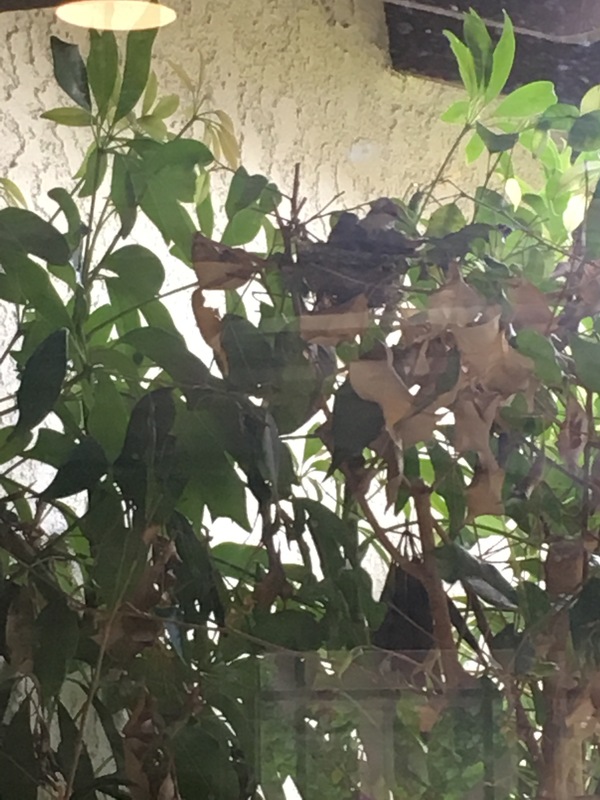 I have had the honor, once again, of watching a hummingbird nest through my kitchen window. 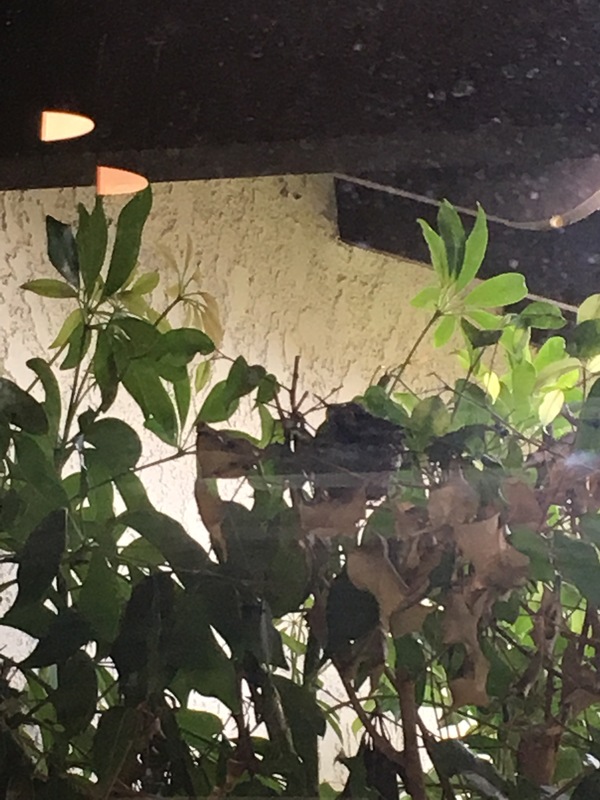 I was surprised, after weeks of watching the mama bird, to see two small beaks sticking out of the nest one day. 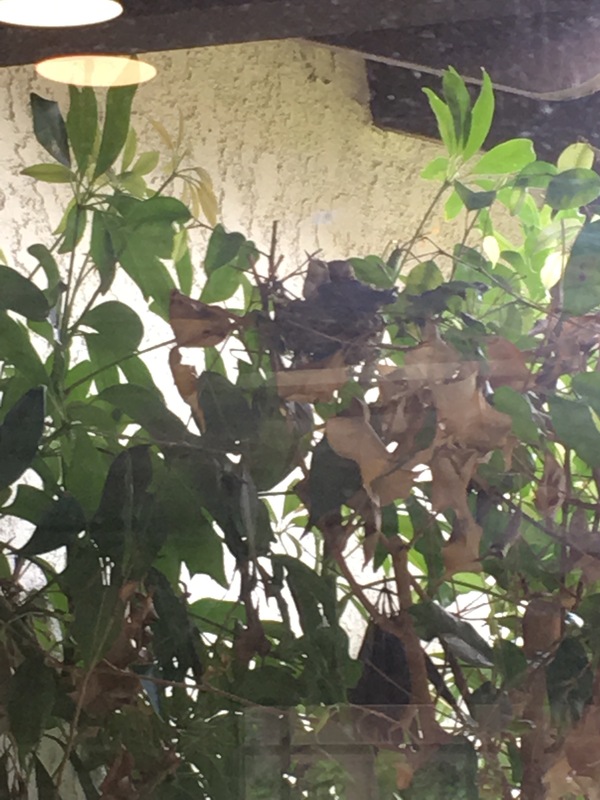 I watched the mama bird feed these small beaks, and they grew before my eyes. 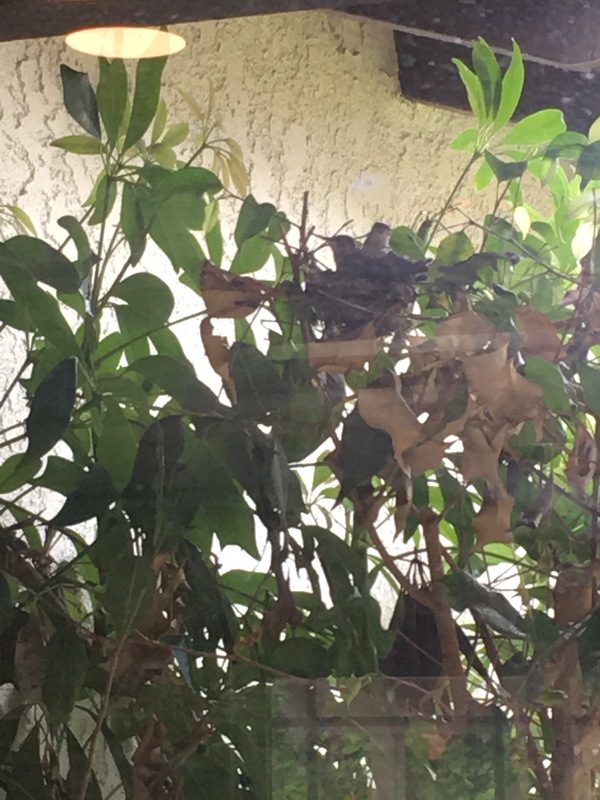 Yesterday they were so large that neither of them really fit in the nest anymore. Sometimes they seemed to be nuzzled together, and other times I imagined they were trying to break free of the other, or gain the better view. I watched each of them flutter their wings–a sudden blur of motion around their calm faces. 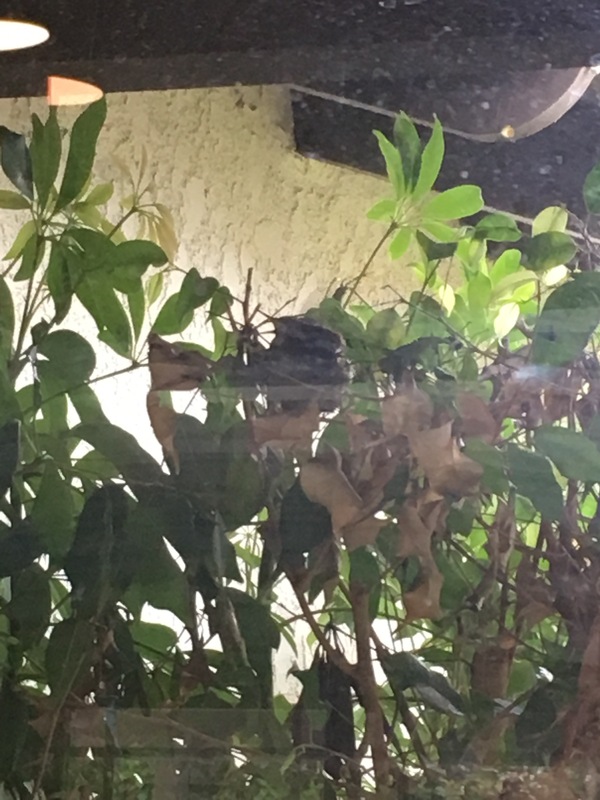 In the picture below, one bird seems to be looking right into the window, while the other is in profile (facing left). Today, the nest was empty. We are on the brink of leaving this nest, and seeing their empty one felt rather bittersweet. So much time has gone into this house, so much work, and we are shortly to leave it behind, for a new couple to write their story here. Will they have the adventures that we did? I wonder if, someday, they will renovate and find our names signed inside the drywall. These walls have hosted us, our family, and friends. They have seen parties and quiet nights at home. Two little boys came across the threshold to join us here. One big dog moved in with us, but left us all too soon. When I was wheelchair-bound, I was grateful that this house had only one story. We have dreamed and schemed here, grown up, experienced joy and loss. Two babies have taken their first steps here. This house was the last place I saw my brother alive. Normally, I would be very sentimental about this. I’ve always had a hard time with change, and grown attached to inanimate objects, imparting on them supernatural qualities and feelings. The day we sold the Harley I couldn’t even be home. I couldn’t handle seeing someone else drive it away. “So are you sad?” My mom asked me yesterday. “Not really” I answered. “After everything that has happened…I guess I feel like this is just a building” I replied. Life is short, fragile, precious. Our bodies are merely houses for the souls within. Someday, all of our houses will be empty, but it is the life inside that matters, and that life can live on. A house is just a building; home is something else entirely. This entry was posted in Meadow Grove and tagged brother, change, coping, different, emotion, home, house, hummingbird, life, loss, moving, moving on, nest, new, new house, sentimental. Bookmark the permalink. Well, I’m feeling very sentimental! !